Cute, simple cover page that you can insert in the front of a 3-ring binder. 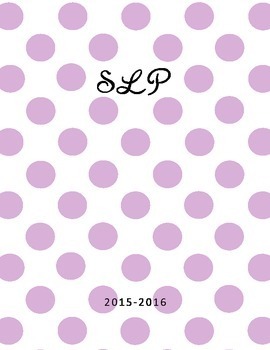 If you like this, check out my SLP planners for 2015-2016! Lots more cover options plus calendars, IEP trackers, etc.